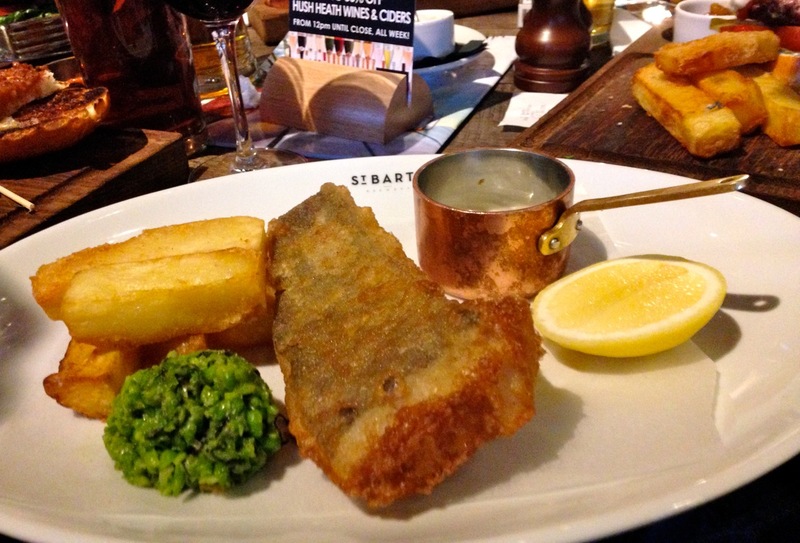 St. Bart’s Brewery is a craft beer gastropub located opposite London’s historic Smithfield Market. In addition to serving a selection of lager and beers (including some from the local Camden Town Brewery), they also serve English wine and cider from the Kent based Hush Heath Estate and Winery. The menu changes regularly and the food includes bar nibbles such as Scotch eggs and Welsh rarebit and more bistro style food including steak tartare and salad Niciose (with seared tuna loin). The space is large and there are two floors – the top one is the formal dining area but you can order food to eat on the lower floor. The Smithfield burgers are also popular. This comprises of a 250 gram beef burger (sourced from the Smithfield market), bacon, melted cheddar cheese and salad in bun, served with a relish and chips. 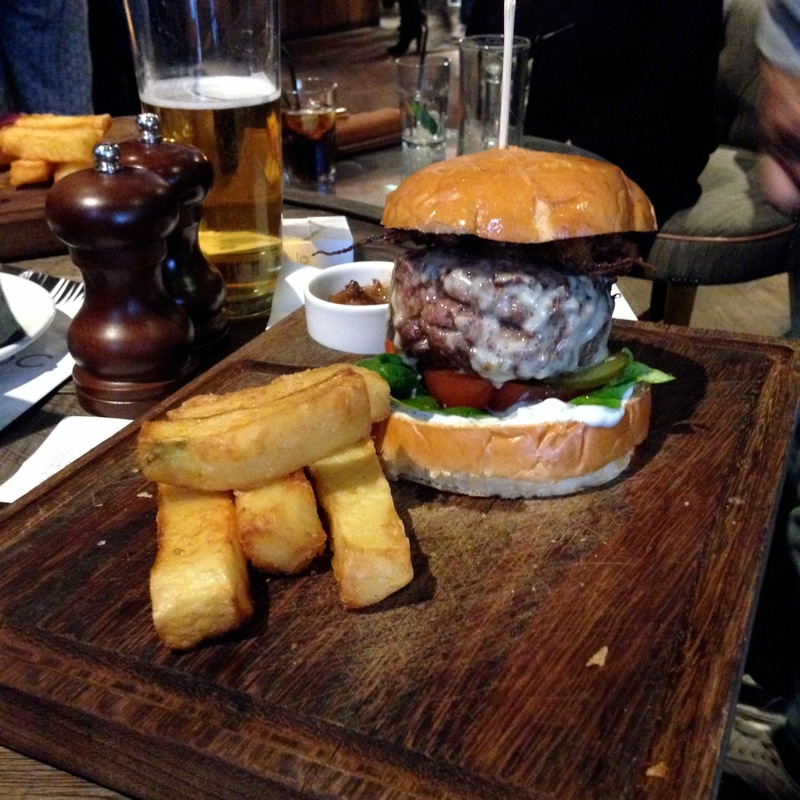 The burger is presented on a wooden chopping board (of course) rather than a plate. This is a tower of a burger – about five inches in height so impossible to eat without a knife and fork! Meat eaters tell me that this is a very fine burger with fine chips (same as those served with the fish and chips). The price is not cheap for pub food – the Smithfield burger costs £15 and the fish and chips, £13.50 (at time of writing). However, the quality of the ingredients is apparent and the food is nicely cooked.